Does anyone remember Passiona? 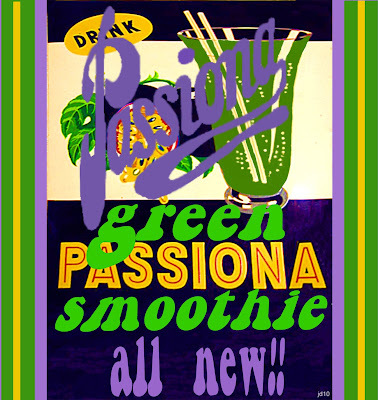 Passiona was an Australian only soft drink icon that’s been around since the 20′s and anyone growing up in the 70′s remembers the psychedelic purple and orange design of the can and bottle. The key ingredient was passionfruit mixed with orange. It was made by Cottees to use all the excess passionfruit. Backyard passionfruit vines used to be more common in the old style (bigger) backyards along with a lemon tree, the Hills Hoist and the vegie garden… I have never bought or used passionfruit so when I was given 2 at the local organic shop the first thing I thought was new green smoothie ingredient. Passionfruit also makes me think of Mum too and her pavlova topping- pavlovas are definitely another classic Australian icon. She was known as the pavlova making queen by her friends and family. You were afraid to breathe in the kitchen or go anywhere near the oven for fear of collapse of the meringue and therefore a pavlova disaster! 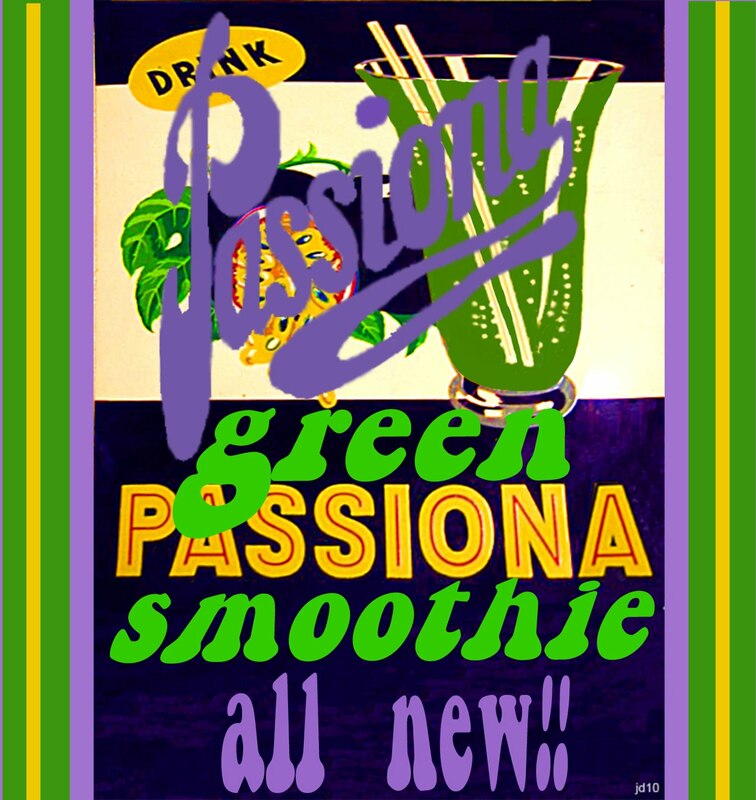 Try the passionfruit in your green smoothie (add half to one at a time and taste) with kiwi/ strawberries and banana just like a classic pav topping. I used spinach and an orange and lemon/lime juice to recreate the classic Passiona flavour, which were really nice with the passionfruit and some coconut oil. Transforming Passiona into a healthy 2000′s version! This was really tasty. Passionfruit originally come from South America- Brazil, Paraguay and northern Argentina and 50 varieties grow in Australia,Asia and the Pacific. I love the history of the small and seemingly unimportant things in the world so here’s some interesting trivia- Jesuit missionaries in South America (obviously indulging in some imaginative religious botany) thought parts of the passionfruit flower looked like certain symbols of the last days of Jesus and the crucifixion so they called it passion fruit in reference to the passions of Jesus and used this to help conversions…..